The BMW Art Car by Sandro Chia will be on display as the 100th work in the exhibition at the Palazzo delle Esposizioni. The initiative is part of the cultural program BMW Italia launched to celebrate the BMW Group’s 100th anniversary and the 50-year history of the brand in Italy. 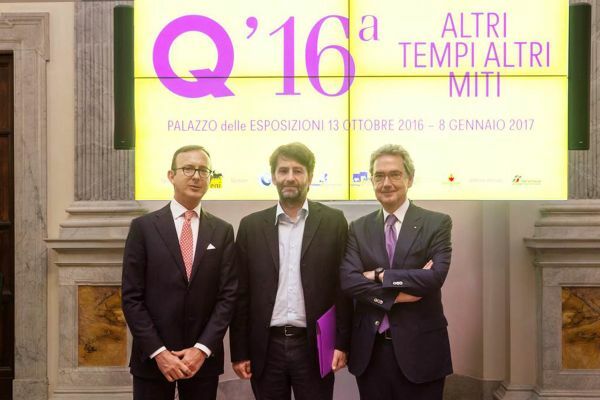 BMW Italia will be partner of the 16th edition of the Quadriennale d’arte, which will be held in Rome from October 13, 2016 to January 7, 2017. This year’s program will be shown at the Palazzo delle Esposizioni on Via Nazionale and various other locations that will host dedicated events, one of them being the BMW Roma City Sales Outlet at Via Barberini 94 showcasing the BMW Art Car maquette by Sandro Chia. Founded in 1927, the Quadriennale promotes Italian contemporary art through a major exhibition held every four years to showcase current Italian visual art. The curators of the 16th Quadriennale will be Michele D'Aurizio, Luigi Fassi, Simone Frangi, Luca Lo Pinto, Matteo Lucchetti, Marta Papini, Cristiana Perrella, Domenico Quaranta, Denis Viva as well as Simone Ciglia, together with Luigia Lonardelli. The team was chosen from submissions of 69 young curators to a competition announced last September, asking for project proposals focusing on visual arts in Italy post-2000. BMW Italia will support the exhibition on Via Nazionale by displaying the BMW Art Car created by Sandro Chia from 1992 – the only Italian artist represented in the BMW Art Car series so far. The very same year he designed his BMW Art Car, Chia had a major exhibition as part of the 12th Quadriennale, titled "Italia 1950-1990. Profili Dialettica Situazioni" at Palazzo delle Esposizioni from July 9 to 21 September, 1992. “By installing the BMW Art Car by Sandro Chia as the 100th work in the exhibition”, says Sergio Solero, President and CEO of BMW Italia, “we pay tribute to the centenary of BMW Group. Thus, we managed to create a direct link to the 16th Quadriennale. A video installation will guide visitors to discover the design and creative process of the 13th Art Car, which will celebrate its 25th anniversary in 2017 – just when the Quadrenniale will also close its doors on January 7”. 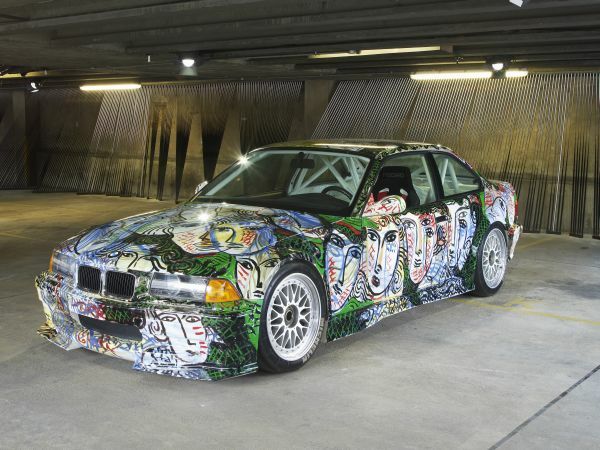 Since 1975 artists from the world over have been creating Art Cars on the basis of contemporary BMW automobiles. The collection was inaugurated when French race car driver and art aficionado Hervé Poulain in collaboration with the then BMW Motorsport Director Jochen Neerpasch asked his artist friend Alexander Calder to design a car. The result was a BMW 3.0 CSL, which in 1975 was raced at the 24 Hours of Le Mans and became an instant favorite with the spectators: the BMW Art Car Collection was born. In 2010, the most recent addition to the series, a car designed by Jeff Koons, was introduced at the Centre Pompidou in Paris. BMW Art Cars are not only on display in their home town at BMW’s museum in Munich, they also travel internationally to exhibitions and museums in Asia, Europe and North America. 2014 saw the first comprehensive publication on the collection. On the occasion of the 40th anniversary of the series in 2015, a jury of distinguished museum directors and curators commissioned two internationally renowned artists to design two vehicles. The Chinese artist Cao Fei (b.1978) and American John Baldessari (b.1931) will be respectively the youngest and the eldest artists to be represented in the collection. For almost 50 years now, the BMW Group has initiated and engaged in over 100 cultural cooperations worldwide. The company places the main focus of its long-term commitment on contemporary and modern art, classical music and jazz as well as architecture and design. In 1972, three large-scale paintings were created by the artist Gerhard Richter specifically for the foyer of the BMW Group's Munich headquarters. Since then, artists such as Andy Warhol, Jeff Koons, Daniel Barenboim, Jonas Kaufmann and architect Zaha Hadid have co-operated with BMW. Currently, female artist Cao Fei from China and American John Baldessari are creating the next two vehicles for the BMW Art Car Collection. Besides co-initiatives, such as BMW Tate Live, the BMW Art Journey and the “Opera for All” concerts in Berlin, Munich and London, the company also partners with leading museums and art fairs as well as orchestras and opera houses around the world. The BMW Group takes absolute creative freedom in all its cultural activities – as this initiative is as essential for producing groundbreaking artistic work as it is for major innovations in a successful business. Einmalige Exponate aus Russland im Museum für Stoffdruck in Mulhouse - Mülheim im Elsass.